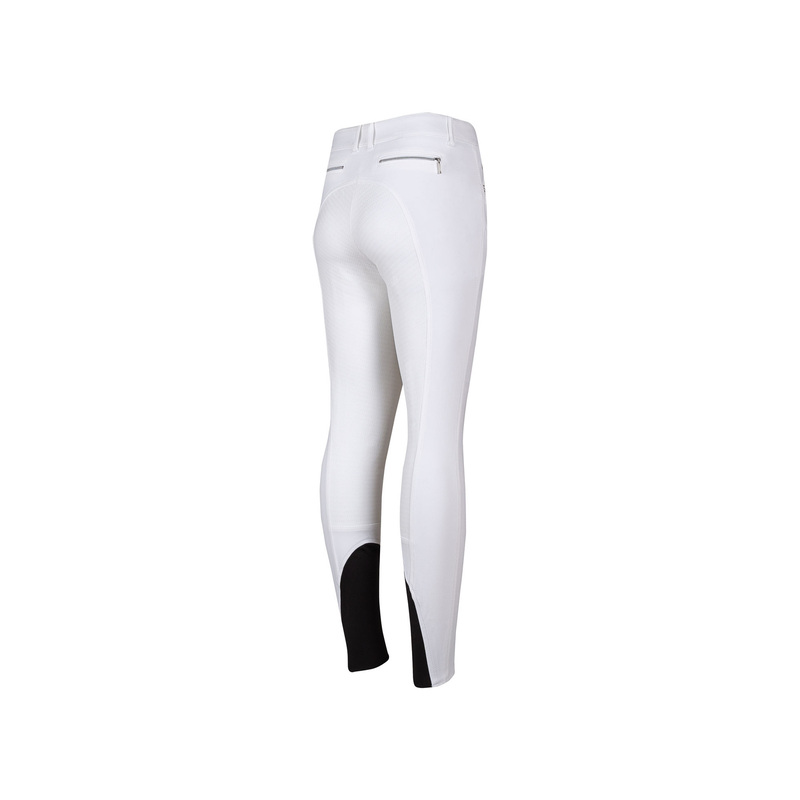 Elegant ladies' breeches with a full silicone grip that provides perfect adhesion to the saddle. They are made of an elastic material. These breeches fit the body well and are breathable. Their legs have elastic inserts at the bottom. On the back, they have pockets with silver zippers. These breeches are decorated with shiny jets by the front pockets and with an Equiline inscription.